Who Will Steer the Ship? Sin and temptation are powerful. They really are. Sometimes in our lives, we feel like we are totally helpless in resisting sin. We feel overwhelmed. We feel as though there is nothing that we can do against it. Paul talks a lot about the power of sin, how it takes over, how it works against us, how we can feel as though we are overcome by it sometimes. And he is 100% correct there (duh, he is well, you know, Paul, and all of this is inspired by the Holy Spirit!). So then, we why do we fight against? If God loves us in spite of our sin, and we are helpless against it, then why do we worry about it and strain against it? Do not present yourself to sin, but instead present yourself to God. What? What does that mean? Today, in your life, what will set the course for your actions? Will it be your sin and temptations? Or will it be God? Something will steer the ship in your life today. Something will guide you today. Will it be God? Or will it be sin? If it is sin, then you will get yourself in trouble. You will trip and fall. You will make mistakes. Me too, by the way! All of us are equally effected, and destroyed by sin. It’s called being human. 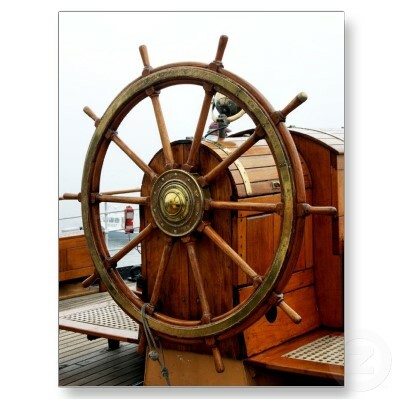 But, if God steers the ship, if God sets the course, then we will be more aware of temptation. We will be more aware of where we are being pulled away. We will be more in tune to His leading and will have more of His strength to fight. Now, even with God steering, we will mess up. But if He is steering, and we mess up, we are aware of mistakes, aware of His calling to keep going, and aware of His forgiveness. Sin blinds us to these things. And sin wants to keep us from knowing that we are forgiven! So, today, in your life, who will steer the ship? Will you present yourself to God? Or to sin? That decision right now, will affect everything else we do today!